Kevin has 20 years’ experience as a civil litigator with a current emphasis on defending management in wage and hour class action cases where he continues to work as lead defense counsel for management. Kevin also represents companies in issues involving employment discrimination, sexual harassment, trade secrets, employee raiding, WARN, FMLA, unfair competition, and reasonable accommodation. In addition, Kevin has substantial experience in complex commercial litigation and has represented clients involved in product liability litigation, partnership and fiduciary litigation, intellectual property litigation, as well as contract disputes. Prior to entering private practice, Kevin served as a staff attorney with the Ninth Circuit Court of Appeals. Kevin has also served as an adjunct professor at University of California Hastings College of Law. 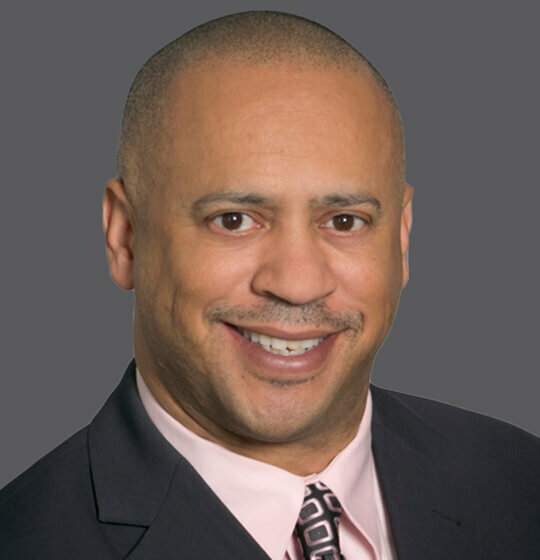 Kevin is the newly elected Chair of the Labor and Employment Section of the National Bar Association and also serves as the Director for Region IX for the NBA. Lead Defense counsel for Air Medical Company in wage and hour class action litigation involving ADA preemption, calculation of overtime, interpretation of Section 3K of Wage Order 9, and meal and rest break claims. Lead Defense counsel for Tire Company in wage and hour class action involving overtime and payment of wages due at termination. Lead Defense counsel for Staffing company in wage and hour class action case involving off-the-clock work claims. Lead Defense counsel for transportation company in wage and hour class action involving overtime and regular rate of pay. Lead Defense counsel for transportation company in wage and hour class action involving split shift premium. Lead Defense counsel for transportation company in wage and hour class action involving meal and rest break claims. Lead Defense counsel for transportation company in PAGA representative action involving meal and rest break claims. Lead Defense counsel for transportation company in wage and hour class action involving off the clock claims. Lead Defense counsel for transportation company in wage and hour class action involving expense reimbursement claims. Lead Defense counsel for transportation company in wage and hour class action involving failure to pay wages at termination. Lead Defense counsel for wage and hour audit for national transportation client. Defense counsel for misclassification audit for national technology client. Represented transportation company at multiple administrative hearings on wage and hour claims. Lead Defense counsel for major airline in single plaintiff discrimination case. Lead Defense counsel for national catering company in single plaintiff wrongful termination case. Lead Defense counsel for national broadcasting company for reduction in force. Represented National retailer in dozens of single and multiple plaintiff claims involving wrongful termination, disability discrimination and sexual harassment. Represented National Bank in case alleging wrongful termination in violation of public policy. Represented National Bank in trade secret litigation in case involving solicitation by former employee. July 26, 2017 - Retail Operations Insights - "Retail Worker Bill Of Rights — A Tale Of Two Cities"
June 1, 2017 - SHRM Online - "Fair Workweek Law Will Soon Take Effect in Emeryville, Calif."
2003 - Employment Law Compliance - "Discipline and Termination"
Winter 2002 - Business Law Update, a publication of the Los Angeles County Bar Association Corporations and Business Law Section - "Analysis of Mart vs. Severson, Proper Method of Valuing Business In Dissolution Proceeding"
On September 30, 2018, Governor Jerry Brown of California signed Senate Bill (SB) 826, a pioneering law mandating each publicly-held company headquartered in California to have at least one female on its board of directors. San Francisco’s notoriously employee-friendly ordinances continue to set the standard for its neighboring cities. Emeryville, which is across the bay from San Francisco and neighbors Oakland, recently passed a fair workweek ordinance that patterns itself off of San Francisco’s Retail Workers Bill of Rights.